Life is very strange. We meet people and sometime they become most special person in our life. Wedding is one of the most beautiful bond which we share with some other person.Life is meant about different milestone s like childhood, marriage etc. wedding is the milestone of the journey of life. There are many basic moves you need to try to fulfill before walking down to an aisle. Being married is a wonderful path of your life but once you got married, it brings a sense of responsibility in your life. Your life is not about only you and your wants. I must say before crossing this milestone you need to try craziest things. Let’s start thinking about ‘I’ instead of ‘we’. Mark the new places and visit to the line you can. Travelling can change your perspective about life and bring you closer to you and your soul. Traveling different places and discovering new people, places and scenery bring varied opportunities and wonders in your life. Traveling for a day or two will make you feel refreshed and amazed by your feeling of freedom and new experiences. Travel with your spouse to know each other well, share feelings, understand each other and spend the time to know each other more. The holiday season is a great time to go out with your best friend, you’d probably do it before you find your future hubby. Enjoy the state of being single that will boost your confidence and provide you a bundle of wonders and joy. Living alone is the essential part of your personal development, knowing yourself more, to understand and deal with the troubling thoughts. Living by yourself means discovering your true self, understanding the nature of darkest sights that brought positivity and good fortune in your life. Enjoying your company means to sing for you, plan for your enjoyment, take decisions that can only affect you. Try to spend time with you before getting married. Go on a blind date, and know about yourself. Bring surprises, feel wonderful with the shower of compliments. Get ready and be beautiful to please yourself. If you ever interested to learn anything, go ahead. No time can be better than before getting married. No matter where your interest lies, it will help you to learn more things and keep you busy. You can also pick cooking, to make your spouse fall in love with you again and again. Before getting married, you need to know that you are ready for a serious relationship. It’s one of the reliable way to date the people carrying different interests, personalities. This will help you to understand that what you are expecting as your life partner. Wow, these things sound wonderful, I personally insist that you must try it to explore “better you”. When we heard the word wedding, there are lots of things appears in our mind simultaneously like emotions, celebrations, planning and arrangement. There are many thing we have to manage in a wedding like Wedding cards, guests and events,food etc. People put their best efforts in everything and make this day very special so that they can remember this precious day in their whole life. Tying the knot is always a dream moment for everyone. Folks love to enjoy and cerebrate this moment with all their loved ones, friends and relatives.People celebrate this day with their friends and families. Inviting guest are the major part of every wedding because wedding is incomplete without our well wishers and friends. It is in traditions to request people for their kind presence on your special day and wedding cards have been used from years for that. Although there are several experts and online guides these days to help people choose a perfect invitation card design for their wedding, but it is not easy to choose right wordings for the same. Are you aware about different sections of any invitation card? Do you know which sections are more important over others? Are you looking for some special elements to impress your invitees? Here we bring some tips and information about wedding invitation wordings. Although there are several types of invitation wordings available in the market, but these are categorized in two different types, including formal and casual. The invitation wordings are further broken down in different sections, each of them having their own meaning and significance. Folks use these parts according to their requirement and understanding. The top most section of any wedding card is Host Line, which basically defines who is hosting the event. Generally it was considered in early days that the parents of bride are only responsible for all things. 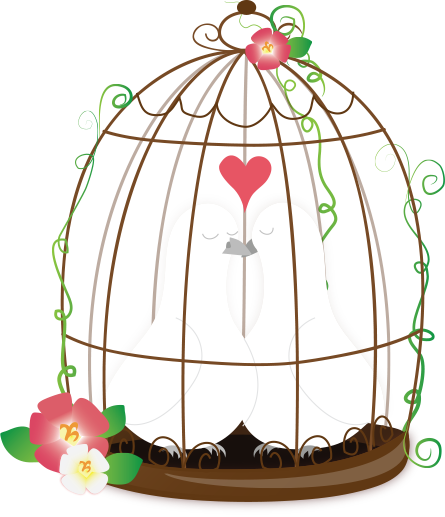 But nowadays with the change in time, hosting the marriage is like a honor and anyone can host. There can be the names of your singles parents, set of parents, stepparents, or all of them together. In other case, bride and groom are also found hosting the event by their own. In such a scenario, their names can also be used at host line. If you don’t want to specify any name, but still want to include everyone, you can use it in general way like “XYZ with their families”. Going deep into host line, the mentioned names are all about the honor and not about promotion of something. Their should be genuine names of living person who can bestow the honor in a perfect way. Next is Invitation Line which comes below host line and defines how you invite the guests. While considering the way of talking, different folks use their unique way of talking and inviting someone. Same applies here as well, where different types of phrases can be used to convey the same message. Some of the sample phrases include “Invite you to share their joy”, “honor of your presence”, “pleasure of your company”, “Want you to come party with us” and many others. This section can contain anything in any tone according to your requirement. Further comes the Names Line, which obviously contains the names of two tying the knot. Most of us won’t think so much about the section of wedding cards, as it is self evident that the section will have names only. But still some points to think about exist there. Generally the name of bride is written over groom as a honor, but there may be two brides at a time or no bride as well. Other than this, dilemma can be there in deciding which last names to be printed when there are two. Next comes the Action Line, which simply specifies the event you inviting the guests for. Again, there may be several way to use different types of phrases to convey the same message here as well. There may be phrases like “at the marriage of”, “at the celebration of their union”, “at the marriage of their children”, “at the marriage of”, “at the marriage of their daughter”, “at their marriage” and many others. After these all, Information Line comes there which contains some useful information including the venue, time, and date. The section is to convey the information to the guests, so that to make it easy for them to be at right place at right time. The section must not be filled up with useless information and should be short and precise. These are some of the very common sections of any wedding card, which contains their own significance.You must be aware about these all, and about the variations of texts which can be used here. 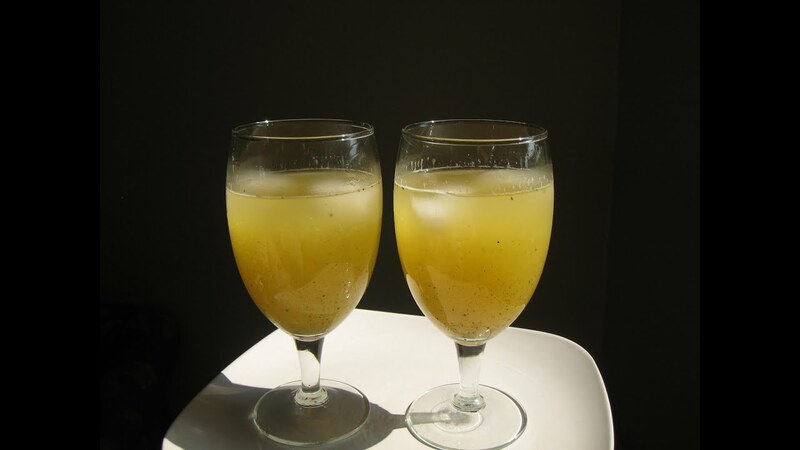 Kairi Panna is basically a traditional style juice of green mangoes, which is all time favorite of everyone. While thinking about beverages and fruit juice, you really can’t skip the king of fruits. The fresh juice of green mangoes or Kairi ka Panna can be served in many different ways with crunchy boondi, basil, mint and others. Nimbu Pani or lemonade seems to be a very simple beverage, but it can be a nice addition to your menu. Everyone is fond of lemon water, but in different variants. You can also do this in your wedding by adding some interesting twist in lemon water. Add some interesting elements including ginger, mint, watermelon and many flavors like thyme and others in your lemonade to make it interesting. Ice golas are people’s childhood love and everyone loves it all ages as well. Add different flavors to add uniqueness and maintain interest among guests. Some of the interesting flavors can be like kokum gola, rabdi gola, chocolate gola, kacchi kairi, and others. Other than this, don’t offer the full size goals, as it become difficult to go for such a big size. Offering small sizes in shot glasses can be a better option instead. Who doesn’t love lassi, specially in summer days. Lassi has been the perfect solution to get over the heat and summer from a very long time. This Indian traditional beverage is loved by one and all and adding this to your menu can make your guest happy easily. Like other mentioned beverages, it also can be offered in multiple ways by adding different types of flavors including Mango lassi, chocolate lassi, dry fruit lassi, honey, angoori lassi, pina-colada lassi and many others. A large glass of lassi is capable of keeping you cool and refreshed in intense summer as well, so consider adding this in your menu. Thandai is commonly known to be served specially on the Holi, but it can also be a very nice addition to your menu. It is a traditional style beverage, which is generally made using milk and almonds. But, like other discussed drinks, it can also vary in flavors. You can ask your wedding vendor or organizer to bring some other unique flavor to it so that to make it innovative. It will be surely loved by your guests. Some of the possible flavors include honey thandai, dry fruit thandhai, chocolate thandai, or kesar thandai. So these are some of the traditional yet highly effective beverages to offer in summer weddings. Bride and grooms must give a try to these in order to make their guests happy and cool in this intense summer and heat. Wedding season is running these days and several celebrities also have joined the momentum to either get married or engaged. Many current and past players of Indian cricket team are also in the list. Some of those either tied the knot or or getting their wedding invitation cards printed season. The list includes Rohit Sharma, Suresh Raina, Harbhajan Singh, Varun Aaron, Irfan Pathan, Mohit Sharma, Ravindra Jadeja and Yuvraj Singh. After playing some significant match winning innings at the cricket ground, these all are all set to start new inning in their life. Here are some of the details about all those who are in the list. Harbhajan Singh got married to his long time girlfriend and bollywood actress Geeta Basra on October 29 in Phagwara (Punjab). It was a big bash wedding receiving various famous celebrities from different domains including sports, bollywood, politics, fashion and others. Suresh Raina, got married to his childhood friend and girlfriend Priyanka Chaudhary. Suresh Raina tied the knot on 3rd March 2015 in a hotel, Leela Palace, in New Delhi. The ceremony took place in royal and glitzy manner, which received very famous and prominent faces from bollywood, Cricket, and politics. Irfan Pathan tied the knot with a very popular model in Saudi Arab, Safa Baig. Only family members and close friends were invited to the function. Irfan Pathan got married secretly on 4th February 2016, at Hotel Trident in Jeddah, Saudi Arab. The bride Safa Baig, is a well known model in Saudi Arab and a multitalented girl. Varun Aaron got married to his love from school time Ragini Singh in a traditional Christian ceremony on 4thFebruary 2016. Although he got married to Ragini on 1st February in court in presence of very few friends and family members, but they again arranged a traditional style wedding ceremony on February 4th. Indian cricketer Mohi Sharma on 17th January got engaged to girlfriend Shweta at the ITC Maurya hotel in Delhi. The pacer took to social networking site Facebook to share the good news. The 27-year-old’s fiancee is a hotel management student from Kolkata. Ravindra Jadeja got engaged on February 5 to a Delhi based mechanical engineer Reeva Solanki. The engagement ceremony took place at Jadeja’s own restaurant named “Jaddu’s Food Field” on Friday in presence of some very close relatives and friends. Unlike other celebrities it is not a love marriage, and both of them were not known to each other before 2 months ago. Their families arranged a meet for them after which they decided to tie the knot. Wedding is the most special moment for everyone, which people want to memorize forever. No one leaves any stone unturned to bring perfection in their ceremony. Everyone loves Inviting friends, family, and other guests to share the moment and bestow their wishes and blessings for the future of bride and groom. The role of wedding cards becomes vital here, as it is medium, using which you request the presence of your guests. Other than this, wedding invitation also offers the first glimpse of your ceremony to the invitees, so its design and pattern matter a lot. Leaving traditional style of stationary behind, modern couples are found trying new patterns and themes these days. Several unique and innovative styles of invitations are in trend these days, and we bring one of those here, named Plexiglass invitation. Plexiglass also known as acrylic or acrylic glass, Acrylite,Lucite, and Perspex is a very commonly used transparent thermoplastic. This is used as a shatter-resistant & lightweight alternative where sheet form of glass is required. These sheets are used as invitations these days with all matter engraved over in different designs. These types of invitations have come in trend nowadays because of lending modern yet elegant touch & appearance. These unique engraved acrylic wedding cards are beautiful enough to catch anyone’s eye at first glimpse. 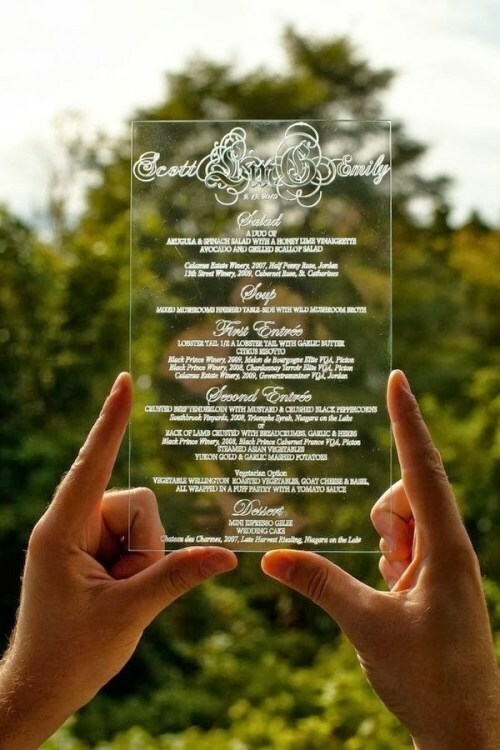 Plexiglass invitations are available in wide range of designs, colors, patterns and engraving, which also makes them more popular. Because of the variety available, it is becoming the hottest, unique and enticing option for bride and groom these days. Other than this, these also suit almost every type of wedding theme, varying in the price at the same time. These lightweight invitation sheets are made of strong materials and magnetic backing is also applied for protection. Different sellers offer plexiglass invitation with complete customization as per the customer need. Size, color, design, names, and other matter can be customized as per the requirement, while maintaining the elegance and beauty. The engraving over plexiglass wedding invitations is done using state-of-the-art laser engraving machines. All the significant details about the ceremony can be featured over the invitation using this without any design restriction. So as these are versatile, unique and elegant, popularity is likely to increase more. Give it a try to give your guests something new and unique to memorize your wedding.